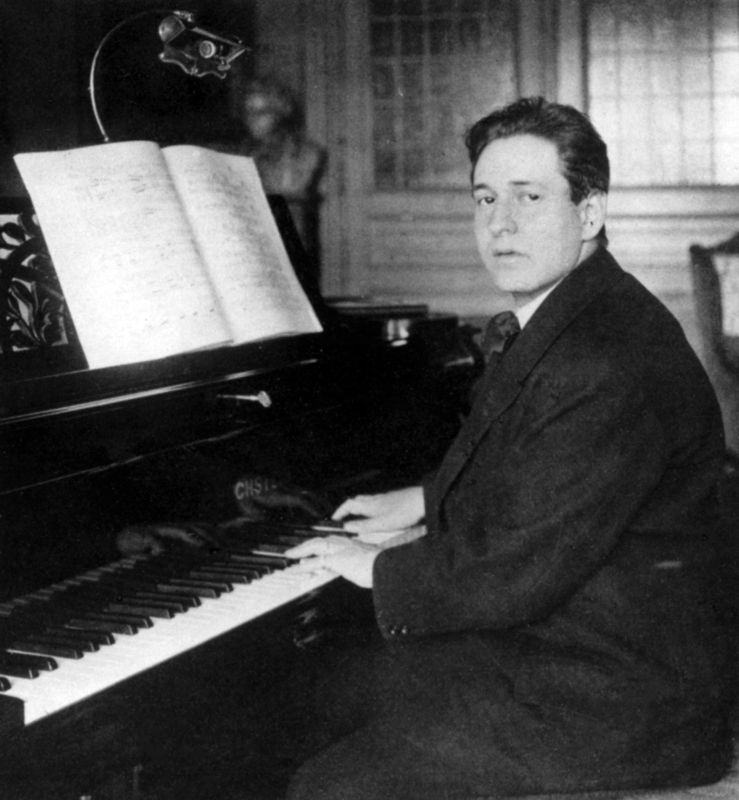 Erich Wolfgang Korngold (1897–1957), a Viennese prodigy as pianist and composer, wrote one of last century’s immortal melodies in his 1920 opera Die Tote Stadt, the apogee of his career. In 1934 the director Max Reinhardt enticed him to America for the first time, to work on a film of A Midsummer Night’s Dream, and Korngold stayed to write more scores for Hollywood movies. Just before Hitler’s Anschluss of Austria, he was back in Vienna expecting to premiere another opera when he responded to an SOS from Warner Brothers, who needed a composer for The Adventures of Robin Hood. This time he stayed in America and by October 1942 he had ground out 14 film scores in eight years. By 1946 he had had enough of this work and was trying to get back into ‘serious’ music. His final Warner Brothers movie was Deception, for which he wrote a cello concerto, played by Eleanor Aller of the Hollywood Quartet. His Violin Concerto, based on some of his early film themes and dedicated to Alma Mahler, should have been completed early in World War II for the Polish violinist Bronislaw Huberman, but Korngold procrastinated until prompted by Jascha Heifetz – who dangled a generous commission fee – to finish it. Although the concerto is not often heard in concert – it has never recovered from the acid comment of another American scribe, Irving Kolodin, that it was ‘more corn than gold’ – it has regularly been recorded. The violin solo at the start of the Moderato nobile is drawn from the score for Another Dawn (1937) and the second subject comes from Juarez (1939). The Romanze is in ternary song form, the main theme – first heard on the clarinet – stemming from Anthony Adverse (1936). Korngold composed the contrasting central section specially for the concerto. The dance theme at the start of the Allegro assai vivace is also new, while the second theme comes from The Prince and the Pauper (1937). As someone who spent a good deal of time in Hollywood, Heifetz knew Korngold well, and he played movements from his Much Ado About Nothing Suite in recitals. The recording of the concerto that Heifetz made in Hollywood on January 10, 1953, with Alfred Wallenstein conducting the Los Angeles Philharmonic, is notable for its improvisatory flair, especially in the Andante and parts of the finale, where Heifetz’s staccato is exemplary. Throughout the work his aristocratic playing rescues the music from any accusation of trashy pseudo-romanticism. 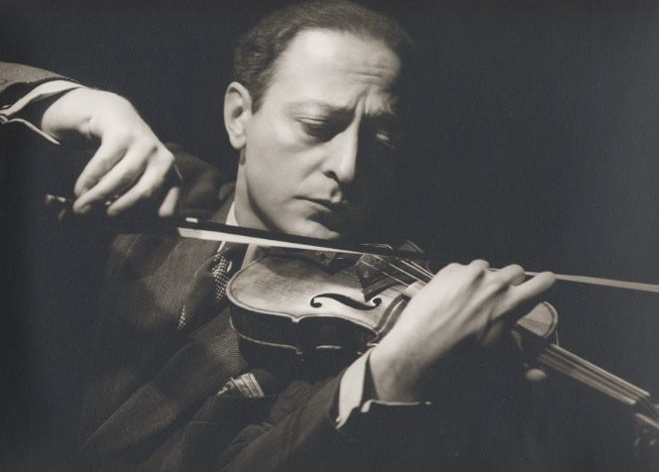 It is likely that for both premiere and recording Heifetz used the c.1740 ‘Heifetz, David’ Guarneri ‘del Gesù’, his favorite after he acquired it in 1922. 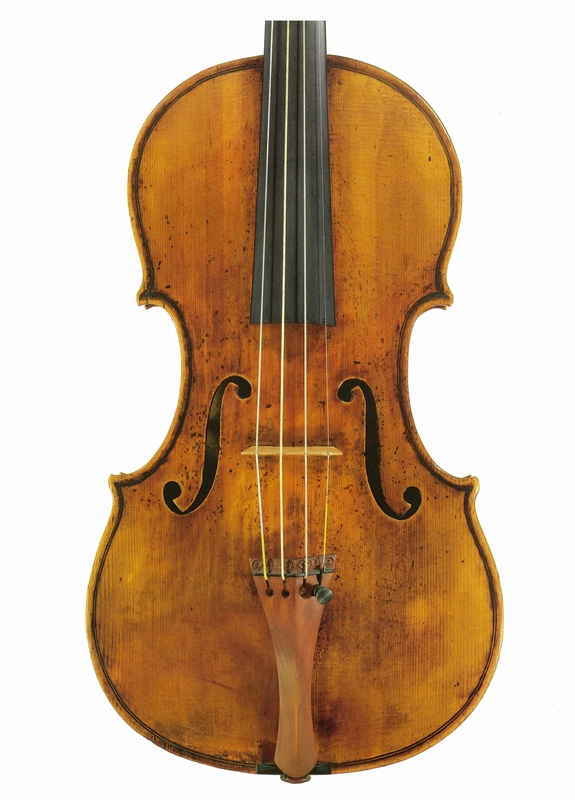 However, the Guarneri shared a double case with the 1731 ‘Heifetz, Piel’ Strad, which was his first really great instrument – although he actually bought it only in 1925, after having it on loan since just after his American debut – and of course he used the Strad from time to time. 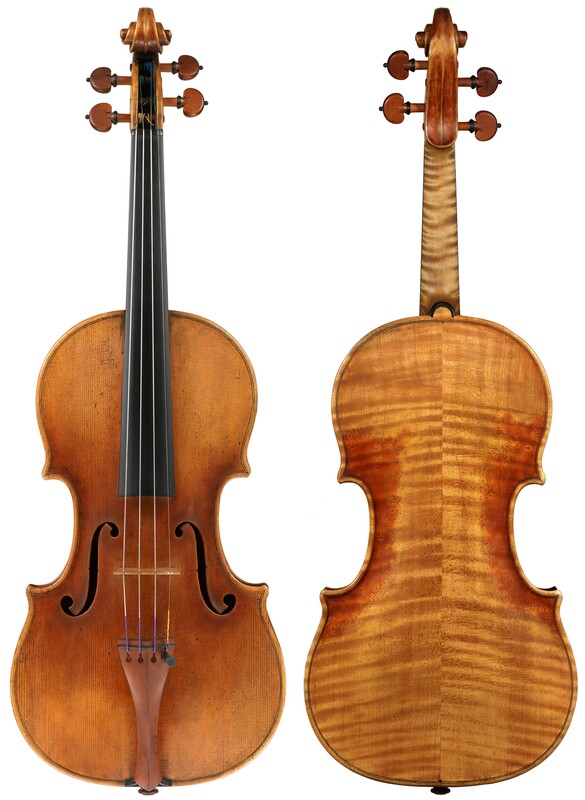 Curiously, the labels of both of Heifetz’s instruments had been tampered with: the Guarneri’s label claimed its date was 1742, and the Stradivari’s had been changed to 1711, in the maker’s golden period. James Ehnes performs the Korngold Concerto with the LSO on June 7, 2015. 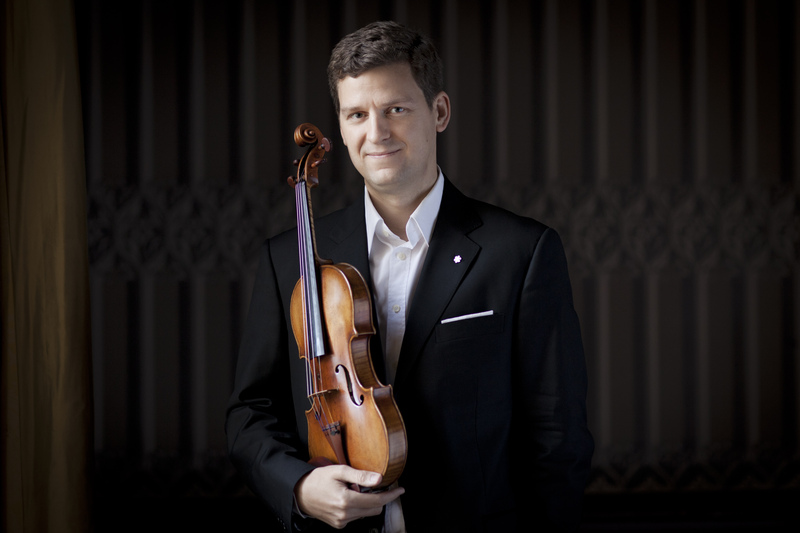 Here Ehnes speaks with Jason Price about the ‘Marsick’ Stradivari of 1715 – you can also listen to the full audio interview. 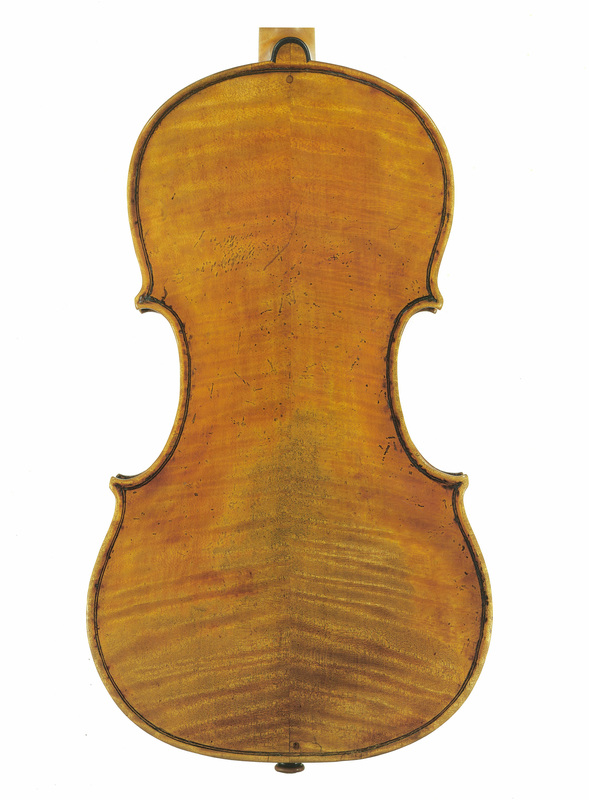 Ehnes, a self-professed ‘violin nerd’, tells the story of how the ‘Marsick’ Strad was found in Russia in 1994: ‘Its back is from the famous log from which other mid-teen Stradivari instruments were made, including the “Titian”. Since the violin was “underground” while Stradivari catalogs were being compiled, it had never been seen before. While it was unused for a long time, it is a wonderful player’s instrument; healthy, solid, beautiful and in excellent condition. Ehnes recorded the Korngold Violin Concerto with the Vancouver Symphony Orchestra in 2006 with Onyx. It received high critical acclaim, and while the concerto had lived on the fringe for many years, it is now a core part of Ehnes’s repertory. ‘One of the hallmarks of a great piece which needs to be in the repertoire is something that can’t be replaced with any other piece. There are plenty of pieces from the era that were influenced by Hollywood, but they sound like knock-offs. See Cozio’s previous interview with Ehnes for more on his instruments.